Snoring can be damaging to your relationships and in some cases, harmful to your health. Luckily, there are several anti-snoring devices available to help undo that damage and prevent that harm. Read on to discover why this product is one of the most popular anti-snoring devices on the market. 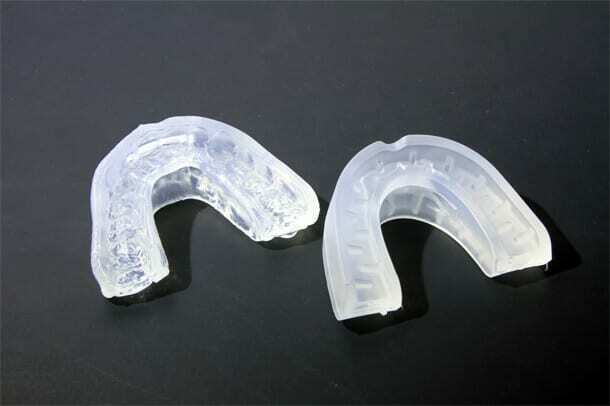 The SleepTight Mouthpiece falls into the “mouth guard” or “mouthpiece” category of anti-snoring devices, which describes any cost-effective, low-intensity options for eliminating snoring and its side effects. To help you better understand how the SleepTight Mouthpiece can help you, let’s look at its many benefits and features. What Is the SleepTight Mouthpiece? The SleepTight Mouthpiece comes from the mind of Dr. Mike Williams, a dentist who suffered from snoring for years and years before determining to find a solution. Williams and his team looked at current snoring mouthpiece options on the market and listened to the feedback and input of snorers from around the world, using that information to design and manufacture the SleepTight Mouthpiece. Snoring occurs when constricted airflow in the mouth or nasal passageway causes tissue to vibrate. The vibration makes a noise that we know as snoring. 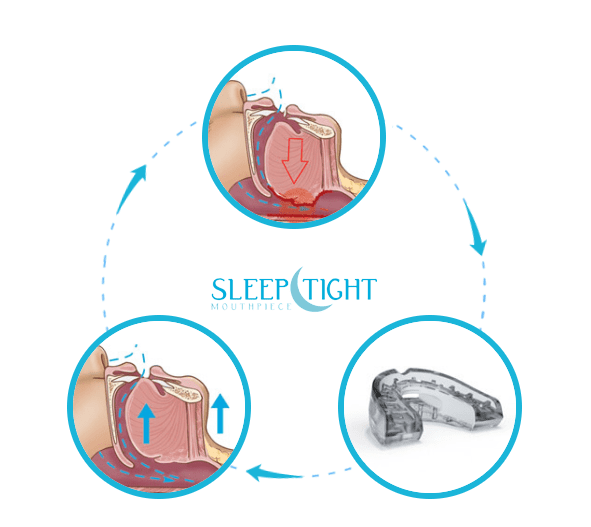 Like many mouthpieces, the SleepTight Mouthpiece advances the jaw slightly forward (known as “mandibular advancement”) to open up passageways, increase airflow, and reduce tissue vibration. Where the SleepTight Mouthpiece sets itself apart is through eliminating common challenges and issues that snorers experience when using other mouthpiece options. Do you Want a Sleeptight Mouthpiece? Airflow: The SleepTight Mouthpiece opens the airflow passageway more than six millimeters, which is one of the most generous openings among mouthpiece options. Swallowing: Some anti-snoring mouthpieces make it difficult for the user to swallow, but the SleepTight Mouthpiece is designed for ease in swallowing. 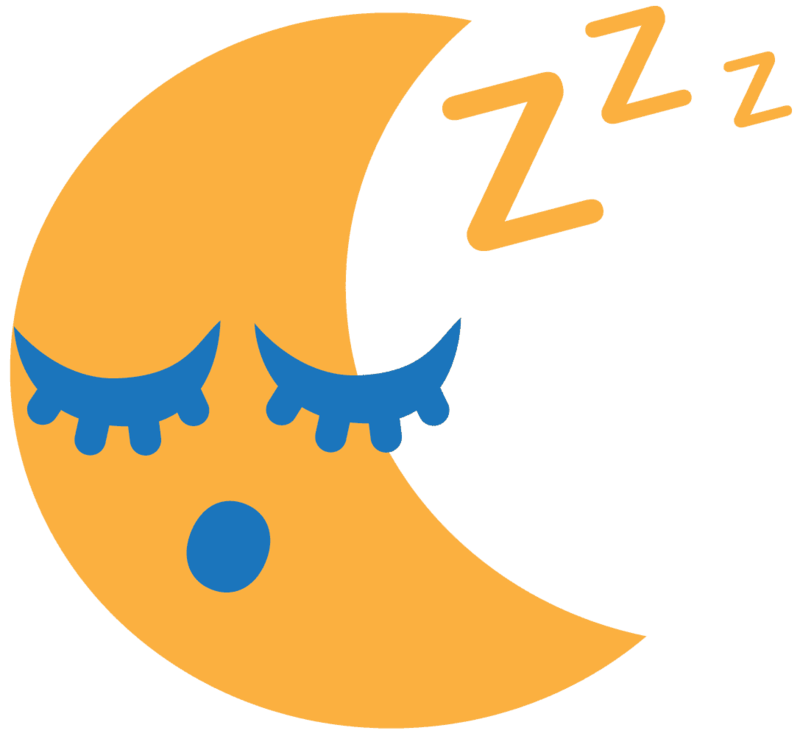 Stability: Many snorers who use mouthpieces have a hard time keeping them in their mouths throughout the night. The SleepTight Mouthpiece is designed for stability so that it remains in place. Readjustment: The SleepTight Mouthpiece uses the boil-and-bite approach to fitting, but unlike many other options, this device can be refit when needed. FDA Cleared: The Food and Drug Administration has scrutinized the SleepTight Mouthpiece, and it has been cleared for treatment of both snoring and sleep apnea. This list could go on for longer, as the SleepTight Mouthpiece addresses a range of common issues. The most important thing to know is this: the SleepTight Mouthpiece is a thoughtfully designed and manufactured anti-snoring device that has helped thousands with their snoring issues. Will it work for you? There are no guarantees, but this is certainly a device that comes with high recommendations from many sources and many advantages built into it’s design. How Does the SleepTight Mouthpiece Stop Snoring? So-called “mandibular advancement” devices are common in the anti-snoring world. One of the causes of snoring is airflow constriction, which occurs when the jaw overly relaxes and falls back toward the neck. A mandibular advancement device keeps the jaw in place to promote airflow and reduce constriction. The SleepTight Mouthpiece sgently pulls the jaw forward so that air moves freely through your throat, mouth, and nasal passageway, reducing the constriction and tissue vibration that can cause snoring. How do I fit the SleepTight Mouthpiece? The SleepTight Mouthpiece uses a fairly common boil-and-bite approach. Simply place the mouthpiece (with airflow plug inserted) into water that has been boiled (and then cooled for 60 seconds). Leave the mouthpiece submerged for three minutes, pull it out, bite down on the mouthpiece, and you’ll leave deep teeth marks that customize your device. Check out this video for a more in-depth look at how to properly fit your SleepTight Mouthpiece. How do I use the SleepTight Mouthpiece? Simply place the SleepTight Mouthpiece inside your mouth and bite down in the teeth marks created during your initial fitting. For best results, try to move your tongue forward toward the airway opening, which further expands your passageways and reduces snoring. You may find that the SleepTight Mouthpiece creates some soreness and discomfort, especially during the first few nights of use. This is common, but know that the soreness and discomfort typically dissipates with more use. How long will the SleepTight Mouthpiece last? It really depends on the user. Some who use the SleepTight Mouthpiece get two years or more out of the device. For those who grind and grit their teeth during sleep, the life expectancy of the SleepTight Mouthpiece shortens, in some cases by up to six months. Users can generally expect 1–2 years out of the SleepTight Mouthpiece, but the device can sometimes need replacement in less time or last longer depending on how the user sleeps. Can the SleepTight Mouthpiece be used with dentures? 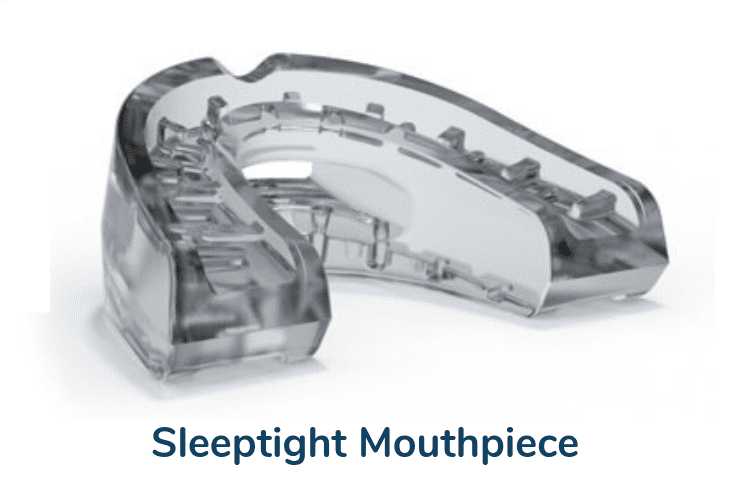 In general, the SleepTight Mouthpiece is not a great fit for anyone who wears dentures. It may work with partial dentures when the user still has some of his or her own front teeth on both the upper and lower jaw. Unfortunately, the SleepTight Mouthpiece will not work if you have a full set of dentures. How much does the SleepTight Mouthpiece cost? The bottom-line price for the SleepTight Mouthpiece is $79.90. There’s a less expensive way to try it with little risk, by opting for the $9.95 trial price and testing it out risk-free beforet paying the remaining cost of $69.95. Does the SleepTight Mouthpiece have any side effects? Most anti-snoring mouthpieces do have side effects, and the SleepTight Mouthpiece is no different. Perhaps the most common side effect is general jaw soreness, especially when first using the device. The SleepTight Mouthpiece puts the jaw in an unusual position—one that helps prevent snoring. But that unusual position can make the jaw sore. The good news is that the soreness tends to drift away after several nights of using the SleepTight Mouthpiece. The second most common side effect is excessive saliva. You may find that you drool more while using the SleepTight Mouthpiece. Saliva in general is the mouth’s response to food being placed inside of it. In fact, saliva is one of the first steps in the digestive process. When you wear the SleepTight Mouthpiece, your body may mistake it for food—which leads to the excessive saliva and drool. Some people are bothered by the boil-and-bite process for fitting as it adds an extra step. Some don’t mind it as it personalizes the fit of the devicel. The fitting process shouldn’t take too long, assuming you have the ability to boil water. And using the SleepTight Mouthpiece is exceedingly easy. Simply place the device in your mouth and move your tongue as far forward as possible for best results. Verdict: Who Should Buy a SleepTight Mouthpiece? If an overly relaxed jaw is the reason why you snore, the SleepTight Mouthpiece is an ideal product to try. There are all sorts of reasons why people snore. Most anti-snoring devices are designed for specific causes of snoring. For example, mandibular advancement devices (like the SleepTight Mouthpiece) are designed for people who snore because their jaws overly relax and constrict airflow. If you snore for a different reason, you’ll find that the SleepTight Mouthpiece is not effective. If you’re unsure of the reason why you’re snoring, take advantage of the30-day money back guarantee. That way, if the SleepTight Mouthpiece doesn’t work for you, you’ll be able to eliminate jaw relaxation as the reason you’re snoring in the first place. If snoring is affecting your life, do something about it. Devices like the SleepTight Mouthpiece are readily available and cost-effective. Read SleepTight Mouthpiece reviews (and reviews of other products) to determine which devices are most likely to eliminate your snoring. And don’t be afraid to talk to your doctor about snoring and possible solutions. Medical professionals can make recommendations and even provide referrals to specialists who can help you.